Watch the best cyclists in the Philippines compete with the best in South East Asia in the PRUride Professional Road Race. 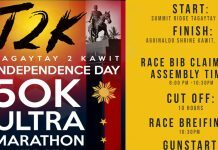 This race takes the riders on a 100-mile (160-kilometer) course starting at the Subic Bay Freeport Zone up to the peak of historic Mt. Samat in Bataan province. This course is sure to test the strength and determination of our riders, as well as provide a breathtaking display of racing for the spectators. Gran Fondo is an Italian word which translates to “Big Ride”. The PRUride Gran Fondo will allow cyclists from all levels to enjoy a well organized, timed ride. The PRUride Gran Fondo 2018 will start at Subic Bay Exhibition and Convention Center and will follow a 100-kilometer route similar to the race route to the one taken by the professional cyclists. 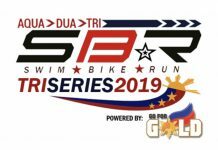 This will take the Gran Fondo participants out of Subic Bay Freeport Zone into the picturesque roads of Bataan province, before returning to Subic Bay Freeport Zone for the finish.